Not a name, the city in eastern France. 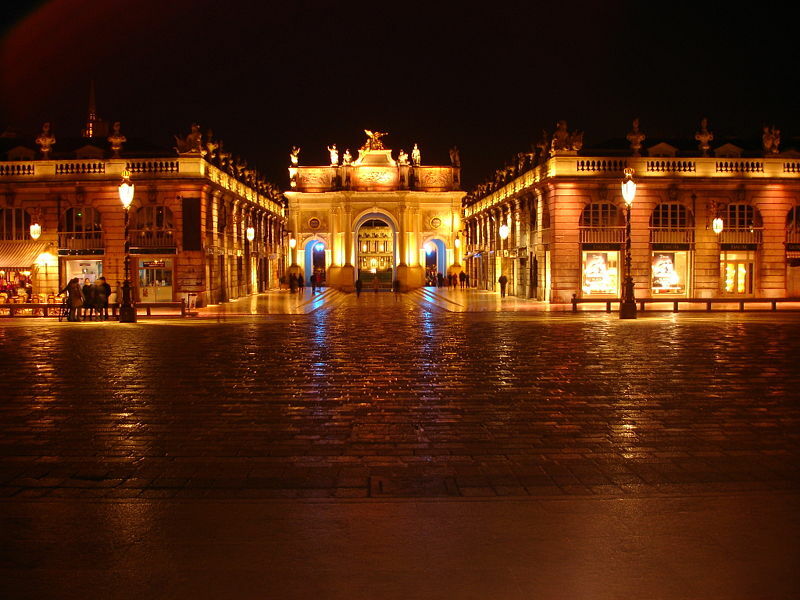 I am in Nancy for the quadrennial Congress of Logic, Methodology, and Philosophy of Science. I will have a symposium paper in a few days, but now I am enjoying being an economist listening to philosophers of science (especially biology) examining a variety of interesting topics, followed (variously) by coffee, great food, beer, and wine. Nancy is in the Lorraine region and has a long, colorful history tied to Germany,Poland, Lithuania, Tuscany, and the Holy Roman Empire. It was a center of the Art Nouveau movement and remains an important university city. Dinner tonight at Place Stanislas with Jean Gayon of the Institut d’histoire et de philosophie des sciences et des techniques (CNRS and University of Paris) and Werner Callebaut of the Konrad Lorenz Institute in Austria, along with Missouri colleagues André Ariew and Chris Pincock (both of Philosophy). We took on the issues surrounding evolutionary models in economics and biology, fueled by andouillette and braised pork jowls, an excellent Rhone wine, and the local eau de vie called Mirabelle. This will be truly memorable. Wait until you hear about tonight’s dinner!